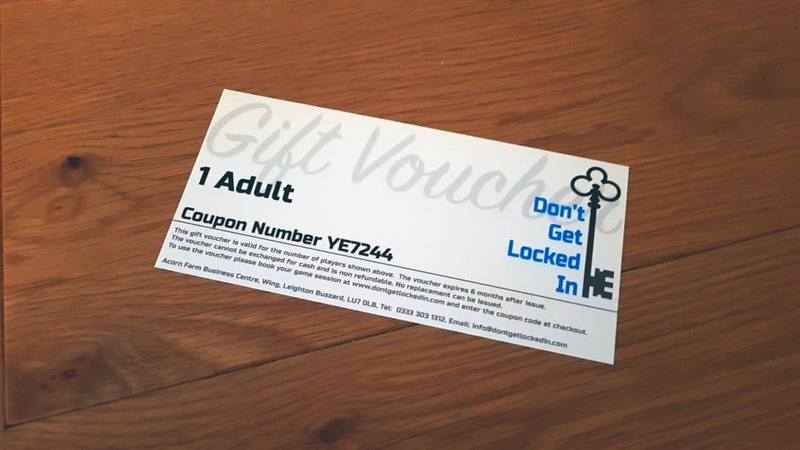 Our escape room gift vouchers provide an original way to celebrate birthdays, anniversaries, special occasions and make great Christmas presents. You can buy as many vouchers as you want. For your convenience we have adult, senior and child vouchers. One voucher price is equivalent to the cost of 1 adult, senior, young adult or child booking, vouchers can be applied to the checkout process when booking a session, therefore please specify the quantity required which will show as a discount in the actual booking. For instance booking two adult vouchers will enable two adults to attend the session for free etc. There is a minimum of two people per room booking. For children to be eligible for the child rate, they must be 12 or under. Seniors rate applies to over 55’s only.